When it comes to running a business, the most important aspect is maintaining your visibility. If customers cant' find you, they can't make a purchase. That's' why keeping your sign in plain view at all times of the day and night is highly important, and we have a selection of gooseneck lights that will help you do just that. They're designed to easily wrap around signs and awnings, allowing them to provide a focused light when combined with the naturally downward lighting trajectory. You'll get a focused beam on whatever you want customers to see, without illuminating anything less important. Our gooseneck lights have a classic warehouse shade design, combined with modern elements that make them suitable for traditional and contemporary décor themes alike. Additionally, we're committed to only the highest level of quality so they won't break down over time, even in outdoor conditions. This is accomplished through a lightweight aluminum construction as well as a powder coated finish that will resist rusting and corrosion no matter how wet the conditions. 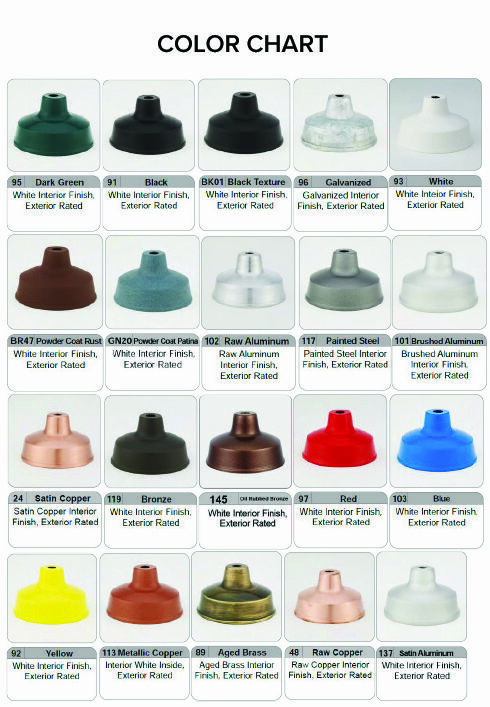 Choose from an array of color options, many of which are offered at no additional cost to you. Additionally, there are custom arm bends, shades, and other customization options as well to allow for a fully tailored lighting fixture.